24820 Tanner Road, is 20 Acres of vacant land that is available for Sale in Adelanto, California. 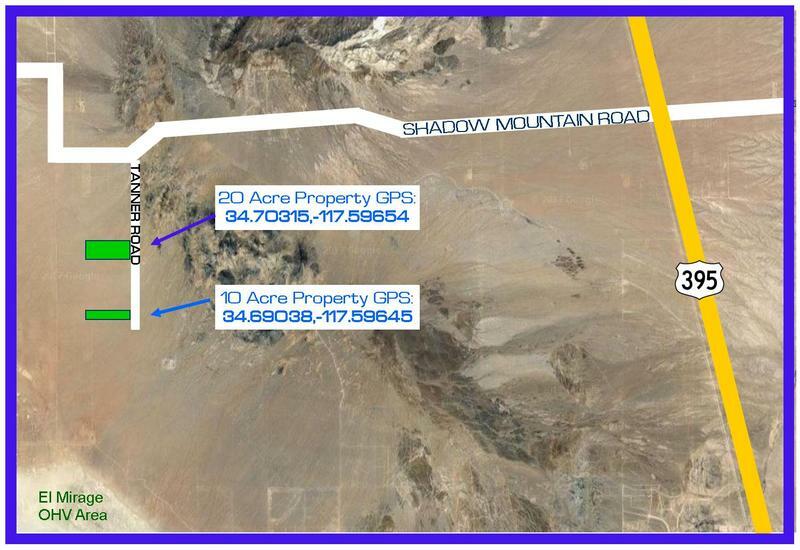 This property is located to the northwest of Adelanto and Victorville, in the beautiful High Desert of San Bernardino County, which is the largest county in the Country! 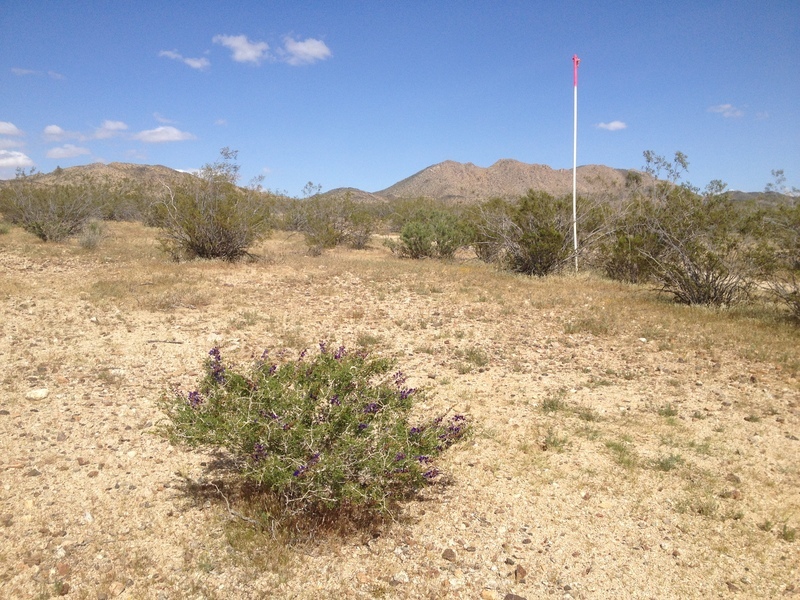 View looking East of one of the property corners with a Mojave Indigo Bush in foreground. This vacant land is being offered for sale either individually or together with another 10 Acres! The second property's APN is 0461-161-16, and sits 7/10ths of a mile south on Tanner Road, the price for both properties is $22,945. Both properties are marked with a sign, and 10 foot poles at the approximate corners. This property is just minutes away from the El Mirage Off Highway Vehicle area. The OHV area is managed by the Bureau of Land Managment (BLM). The BLM requires permits for access inside the OHV area, and is a destination for ultra-lights, and other aircraft hobbies, as well as a myriad of 4 wheel drive vehicles. Bring out your camper for the weekend with the peace of mind that you are on your own land, and enjoy miles and miles of surrounding Open Route, and Closed Route OHV trails that are interconnected throughout San Bernardino County! Are you a Land Owner curious about your properties value in today's market? Give us a call at (760) 952-2345 for a FREE valuation of your property.